Dianara in Chakra, Mageia and Debian repositories! 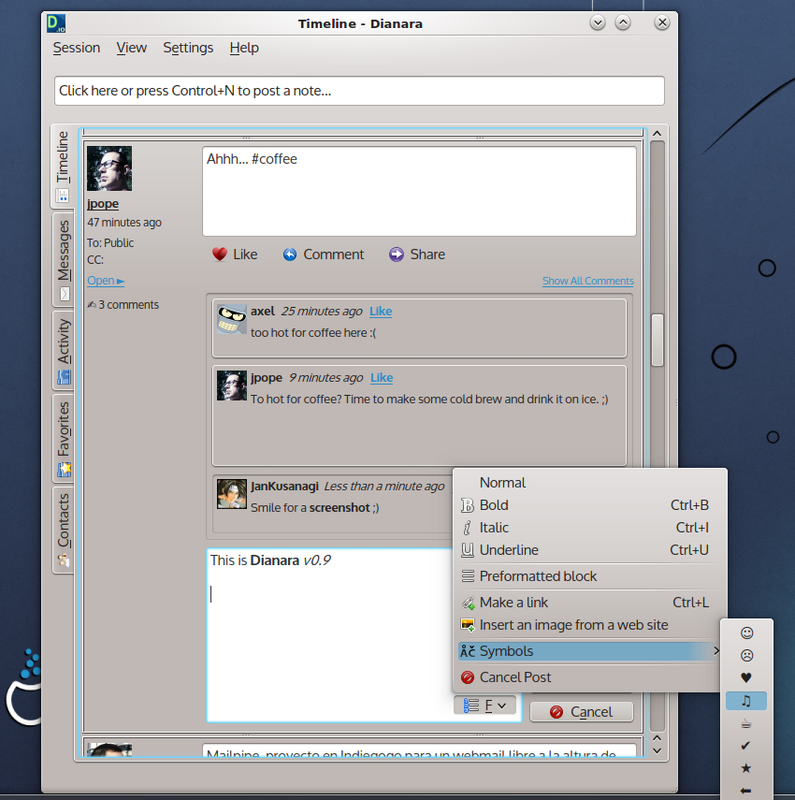 Dianara is now available in Chakra, Mageia Cauldron (future Mageia 4), and Debian Sid repositories. 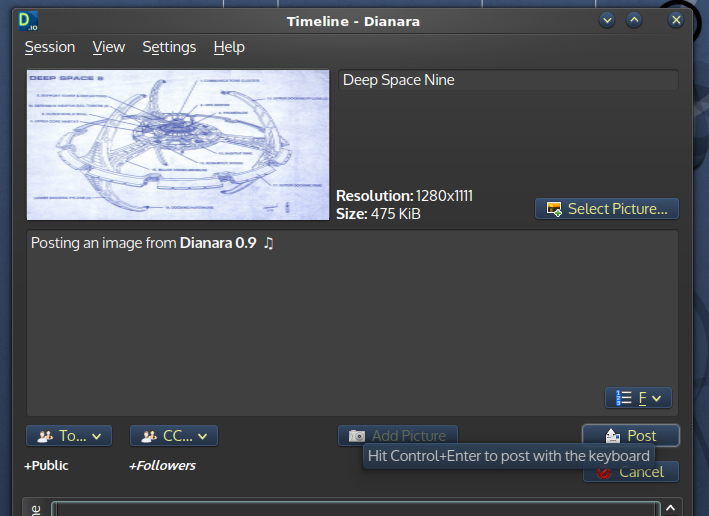 Development of Dianara 1.0 continues. As of this moment, the development version already has some important advantages over v0.9, like the possibility to edit your posts, better post layout with sizes more appropriate to the contents, and auto-linking when pasting a link in a post or comment. You are currently browsing the Jan+KDE blog archives for August, 2013.